A recipient of many honours including Padma Bhushan and Sangeet Natak Akademi award, the eminent classical vocalist never stopped enthralling his fans even if it meant singing from a wheelchair on the stage. Ustad Abdul Rashid Khan (19 August 1908 – 18 February 2016) was an Indian vocalist of Hindustani music. Apart from khayal, he performed dhrupad, dhamar and thumri.Khan was born in a family of musicians tracing back to Behram Khan, who was a singer of traditional Gwalior gharana gayaki. His father's elder brother Bade Yusuf Khan and his father initially trained him. His father Chhote Yusuf Khan was his guru. This was followed with extensive taleem from his family elders, like Chand Khan, Barkhudar Khan, Mahtab Khan who had imbibed the Gwalior Gayaki. He further developed this style suiting his own artistic sensitivity.Khan's traditional compositions have been recorded by the BBC and Iraq Radio. Organizations like Uttar Pradesh Sangeet Natak Academi, Lucknow and ITC Sangeet Research Academy, Kolkata have recorded and preserved many compositions. During the past several decades, he has been a regular performer on Akashvani and Doordarshan Lucknow. Khan has participated in many national and regional conferences like Sadarang Conference, Godrej Conference, Lucknow Mahotsav, Dover Lance Conference, ITC Sangeet Sammelan, Prayag Sangeet Samiti Sangeet Sammelan all over India and has been felicited by Critics, fellow artists and many reputed recognized institutions like Uttar Pradesh Sangeet Natak Academy, (1981), Banaras Hindu University (1993), Eastern Zone cultural center and Press club Kolkata. Khan composed several compositions and was also a prolific writer and poet under the pseudonym "Rasan Piya". Many compositions (bandish) that he sung were his own creations. He trained numerous students in his lifetime and became regarded as a "guru" at the ITC Sangeet Research Academy, Kolkata. Trained in the Gwalior gharana of Hindustani classical music, he was adept inthe worlds of Khayal, Dhrupad, Dhamar and Thumri. 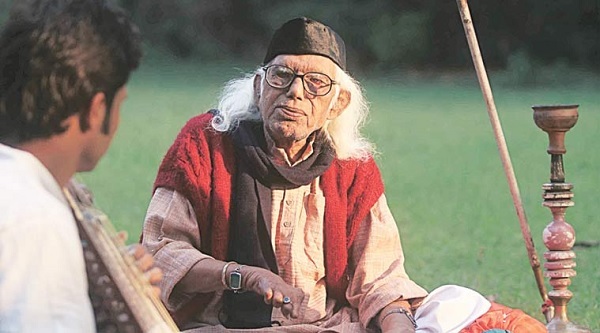 The oldest performing musician of the country Ustad Abdul Rashid Khan, a descendant of Tansen, passed away on Thursday, family members said. The Padma Bhushan awardee was 107 and is survived by his two sons, two daughters and a number of grandchildren. Suffering from old-age related ailments, he fell sick in the morning and was rushed to a hospital where he breathed his last, family said. The body will be flown to Raebareli on Friday for burial as many members of his family are settled there. A recipient of many honours including Padma Bhushan and Sangeet Natak Akademi award, the eminent classical vocalist never stopped enthralling his fans even if it meant singing from a wheelchair on the stage. A resident guru at the ITC Sangeet Research Academy in the city for the past two decades, Khan had given music lessons even yesterday to his students who always called him ‘Baba’ out of respect. In 2013, he got the distinction of being the oldest person to get a Padma award. Also a poet, Khan has written around 2,000 compositions under the pseudonym ‘Rasan Piya’. Born to Chhote Yusuf Khan, he represented the 16th generation of Miyan Tansen’s lineage. West Bengal Governor Keshari Nath Tripathi today expressed his grief on the demise of Padma Bhushan Ustad Abdul Rashid Khan. “Khan composed several compositions and was also a prolific writer and poet under pseudonym Rasan Piya. He trained numerous students in his lifetime and became regarded as a Guru at the ITC Sangeet Research Academy, Kolkata,” the Governor said remembering the eminent vocalist. In his message, Tripathi conveyed his heartfelt condolences to the bereaved family and his numerous disciples.